Egypt is hosting the annual celebration of the Africa Industrialization Day (AID) under the theme of “Energy Poverty in Africa” at the Grand Hayatt. Energy Efficiency and Renewable Energy: Challenges and Opportunities in Egypt’s Industrial Sector. On Thursday the 17th of November 2011 the United Nations Industrial Development Organization (UNIDO) Egypt is hosting the annual celebration of the Africa Industrialization Day (AID) under the theme of “Energy Poverty in Africa” at the Grand Hayatt in Garden City, Cairo. With soaring global crude oil prices, economies across Africa are suffering from rising energy costs. These rising costs place serious strains on already fragile national budgets undermining the prospects for economic development and offsetting hard-fought gains from poverty reduction programs, international development aid and debt-relief efforts. 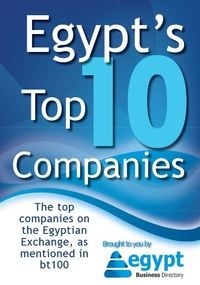 Egypt, while known to be in a relatively better position among African’s countries, is not unaffected by these challenges. A rising gap in meeting the population’s energy needs is apparent and access to energy can become a national security risk. Accordingly, fossil fuels are a highly subsidized commodity on Egyptian markets, placing significant strain on the government budget. In an attempt to tackle this problem, Egypt’s energy strategic framework has recently adopted Renewable Energy (RE) and Energy Efficiency (EE) policy options. RE and EE projects and associated practices have shown success and are continuously growing in different sectors. However, efforts to set quantifiable objectives and develop an adequate economic, political and legislative environment are to be stepped up. At the AID 2011, UNIDO aims to promote the discussion and exchange on these issues which are crucial for the economic and industrial development of the country. In a number of sessions, government officials, members of international organizations as well as private sector representatives will address the importance of the policy environment affecting the renewable energy sector, EE & RE potential in Egypt, opportunities & challenges for local manufacturing, regional cooperation, financing RE & EE in Egypt, as well as the experience of the international development agencies.